CORONA, CA -- CIRCOR Aerospace Products Group, a CIRCOR International company (NYSE: CIR), has appointed Sara Kruse as Director of Human Resources. Talent management and development are a critical foundation for the CIRCOR Business System. Sara brings extensive industry and human resources leadership experience to this role and will report to Group Vice President Christopher R. Celtruda. She will also represent the aerospace business unit within the CIRCOR International Council for Human Resources. Sara will have full responsibility for the implementation of improved human resources processes and service across the CIRCOR Aerospace North American, Asian, European and North African businesses. She will oversee site level staff and change initiatives, drive the annual Talent Management process and be actively engaged in the development and execution of group strategy and change efforts. 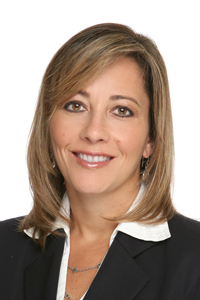 In her career, Sara has spent over 20 years with Goodrich, Parker and Eaton. She brings extensive experience in HR process and systems, talent acquisition, change management, and business partnership from her career assignments in the U.S. and Mexico. Sara joins CIRCOR Aerospace from Eaton, where as an HR Leader, she supported and led various projects for the Aerospace Group. Previously, she was a Division HR Leader with Parker Hannifin and held an HR staffing role at Goodrich. Sara will be home-based in Corona, California and is expected to travel extensively to assist the CIRCOR Aerospace team and to support CIRCOR International HR shared services.